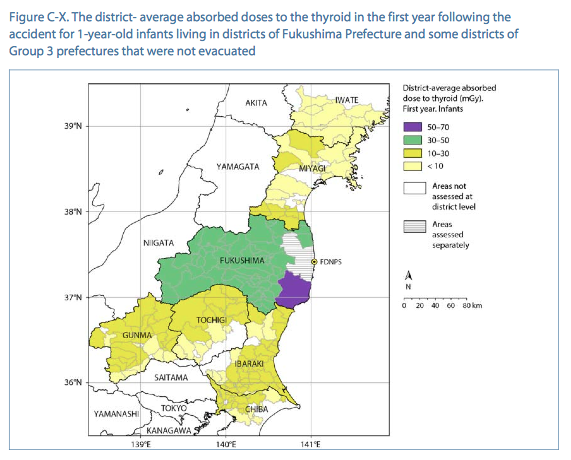 166 thyroid cancer among Fukushima kids now! Relation with radiation still being denied! Now 118 thyroid cancer and suspected cases among Fukushima kids! I wonder why all the peopla in Japan have not made any fuss over this extremely serious situation! 子供４人、甲状腺がん疑い　原発事故直後「異常なし」Additional 4 kids suspected as thyroid cancer though they were not found any abnormality in the 1st round test. 4 Fukushima children who were found no abnormality in their thyroid test after Fukushima Daiichi accident were found to have suspected thyroid cancer in the 2nd round of test started in April 2014. This will be reported in the review committee in Fukushima city on Dec 25th. Fukushima Medical University will hastely diagnose the suspected cases and will carefully determine whether the cancer was caused by radiation or not. The subject of the test was 370,000 Fukushima children under 18 years old at the time of the accident and the second test will be conducted on 385000 children including those who were born one year after the accident. Through ultrasonic echo machine, cysts/nodules size and form are checked and classified as A1, A2, B and C and children under the categories of B and C go through the 2nd test for blood test and biopsy. According to the source, the additional 4 thyroid cancer suspected cases for the 2nd round of test were 6 to 17 years old at the time of the disaster. The 4 children went through the 2nd round of primary test since April 2014 and were diagnosed as B. As the result of 2nd test with biopsy, they were diagnosed as "suspected cancer." In the 1st round of test, the number of thyroid cancer kids were increased from 57 to 84 and suspected case became 24. I heard a very sad news today through Kyodo News Agency. There have been 2 Fukushima thyroid cancer kids who got metastasis in their lungs. I have been calling for evacuation of kids and pregnant women since right after Fukushima accident. No matter how careful you are on what you would eat, nobody can stop breathing. I myself had persistant coughing after March 15 radiation exposure in Tokyo and what I was afraid most was lung cancer. I visited Fukushima just one day in autumn 2011. 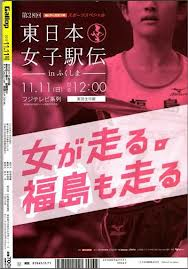 That day, my spine got frozen by seeing advertising posters of Women's Marathon Race in Fukushima. After that, I got to know that even children's marathon races were being held in areas with doses equivalent to radiation control areas. NHK, Japanese public TV station, never touches upon the thyroid cancer incidence in Fukushima (though they did in NHK international, they never did in domestic programs), and instead, keeps covering children's outside sport festivals and fruit-picking in Fukushima. NHK　shows programs which encourage residents in contaminated areas to go back their home town, and they never show this kind of serious issues. Meanwhile, I was even criminally accused by a leader of ETHOS, a Fukushima NGO which encourages residents to keep living in their homeland, and have been threatened by countless internet obstructors. I truly believe any government or media which ignores their own people's children's health/lives is insane. In addition, recently, Prime Minister Abe was criminally accused for covering up the political donation from NHK Chief Producer, but NHK has been ignoring this important scandal. I want these facts to be known among all the conscious citizens in the world. On August 28 at the Japan Cancer Treatment Society, Professor Shinichi Suzuki from Fukushima Medical University reported concrete examples of children who have or suspected to have thyroid cancer throught the Fukushima prefectural thyroid examination after Fukushima Daiichi accident. After explaining his perspective showing that the possibility of the nuclear accident influence is little, he stressed, "his treatment was in accordance with the standard." The subjects of the thyroid examination is 370,000 children under 18 at the time of the accident in Fukushima prefecure. The confirmed cases are 57 and suspected case are 46. Compared to the 1986 Chernobyl nuclear accident, Professor Suzuki said, "Both the symptoms and age distributions are different." As for the 54 thyroid cancer patients who went through the surgery at Fukushima Medical University out of the 57 (translators; which means only 3 had surgery outside of Fukushima Medical University), more than 80% had cancer size larger than 10mm or metastsis to lymph nodes or other organs, which needed surgery. 2 had metastasis in their lungs. The remaining 9 had cancer size less than 10 mm without any metastasis. But according to Prof. Suzuki, "7 had cancer adjacent to the resparatory tract and conducting surgery on them was right decisions." The remainig 2 could wait for surgery by follow up observation, but they received the surgery based on the will of the patient and his/her families. 90% of the patients had their thyroid extracted only half. As for the Fukushima thyroid cancer, some experts asked, "Weren't there any cases where no surgery was needed?" and the call for disclosing the patients' data was mounting. Evacuate kids and pregnant women! English translation to be followed. On August 24th, Fukushima prefectural health survey meeting was held in Fukushima city, and it was reported that there are 103 thyroid cancer kids including the suspected cases. There have been already 57 kids who already had surgery with confirmation of cancer. As for the thyroid examination started in fall of 2011 by Fukushima prefecure, 80% of the 360,000 minors under 18 years old at the time of accident, the total of 296,000 have gone through the examination. In Aizu area where the examination started last had 80% results of the secondary test. And the total of 104 kids were diagnosed as malignant cancer or suspected cancer through the needling biopsy. 58 kids already went through the surgery and one was found to have benign nodule, but 55 had papillary carninoma and 2 had anaplastic cancer. 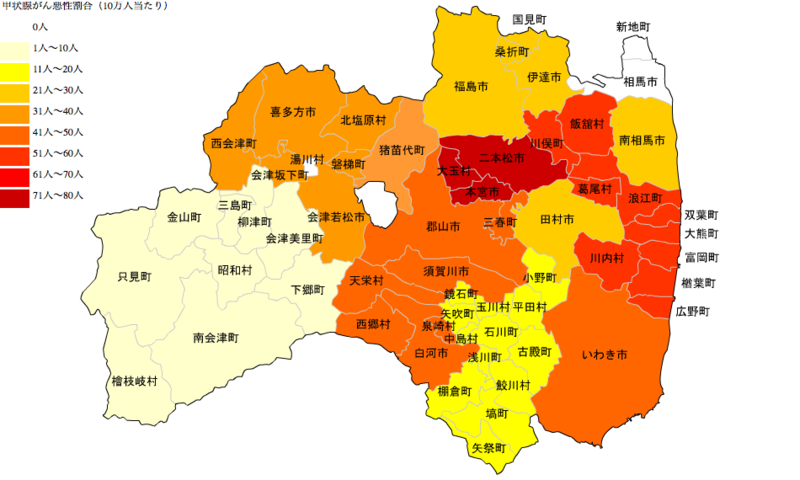 Fukushima medical university calculated the thyroid cancer rate in each region of Fukushima. According to that, there are as many as 30 thyroid cancer kids in 100,000 in Fukushima as a whole. There are 35.3 in Hamadori (coastal area close to Fukushima Daiichi) and 35.4 in Nakadori (central area in Fukushima) and 27.7 in Aizu (mountaneous area in the west). According to the data in Nagasaki University which conducted screening test on thyroid cancer in contaminated areas in Chernobyl, there were 31 out of 100000 in Korosten in State of Zhytomyr and 22 in Kiev in Ukraine. The result shows similar rate of that of contaminated areas in Chernobyl. 44 thyroid cancer and suspected cases among Fukushima children! As of May 27, 2013, there were 27 cases and it was jumped to 44 in about 2 months. The youngest one was 6 year old. The 44 was out of 17668, but considering that only 768 children out of 1167 went through the 2nd exam, in proportional calculation, there should be around 66 cases out of 176882, which is approximately 3.7 out of 10000 children. This is quite a high rate already! 1. 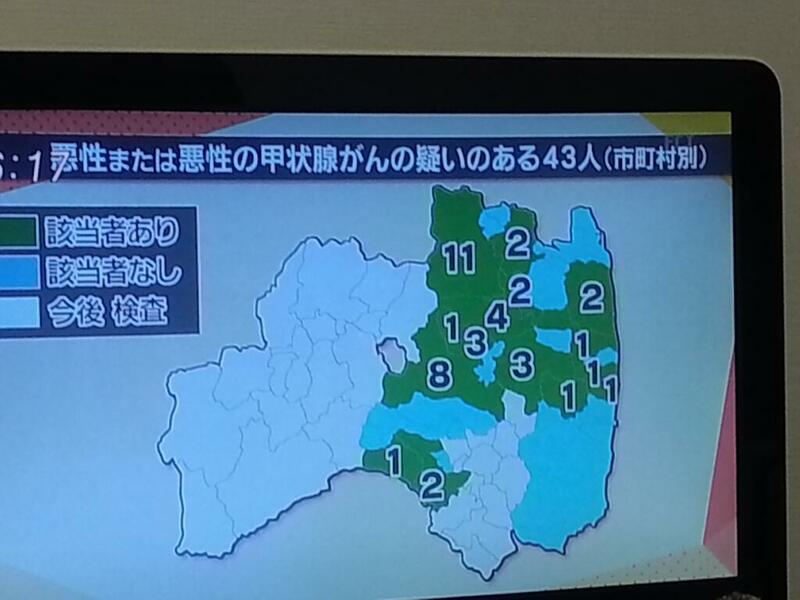 The first exam was the total number of residents who reside in and outside of Fukushima after the accident. 2. One case where the malignancy was suspected after the cytodiagnosis and was found out its benignant after the surgery was excluded from No. of cancer/suspected cases. 3. Ohters are those from outside of Exclusion zone and who conducted the examination at schools etc. 2. Except Fukushima, cancer rates are blank due to low rate of 2nd exam implementation. 3. For those who show early diagnoses are needed at the 1st exam, the 2nd exam is implemented with priority. 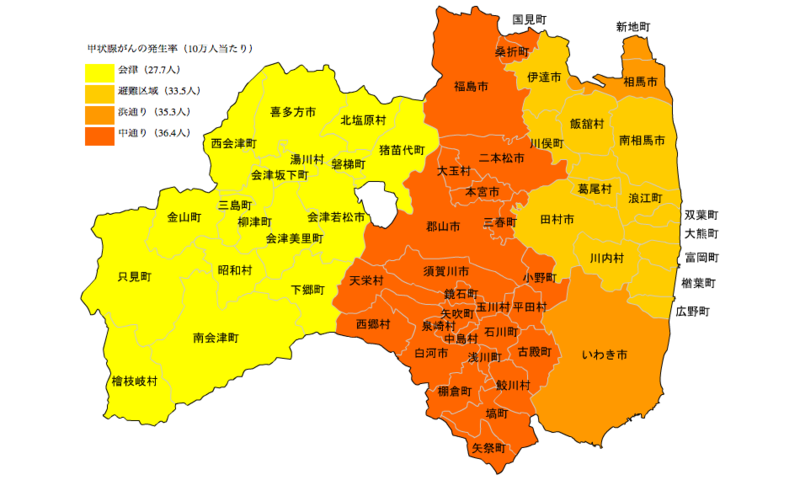 Today, there was a new announcement on Fukushima kid thyroid exam result from Fukushima prefecture. Now there are already 44 cases of cancer and suspected cases, jumped from 27 compared to 2 months ago. In rough calculation, it is approximately 3.7 out of 10,000. However, government sided scholars are still insisting they could not say these are due to nuclear accident. http://www.pref.fukushima.jp/imu/kenkoukanri/250605siryou2.pdf and the chart I translated was on page 11. Also, there was one child who went through a thyroid cancer surgery and was found to have a benign one, so considering that, total number of cancer and suspected ones are 43 all together. 18 are confirmed and 25 suspected. Please help kids in Fukushima! It was at the end of May that 27 thyroid cancer kids were found in Fukushima. Already, almost two months have been passed, but amazingly almost no anti-nuke organizations are making any appeal on this most important issue! Both in Japan and overseas! Hey, what is actually going on!? It is as if I was having a nightmare! Please, anybody who has heart, there are already 27 thyroid cancer kids in Fukushima. Please do disseminate this most important fact! 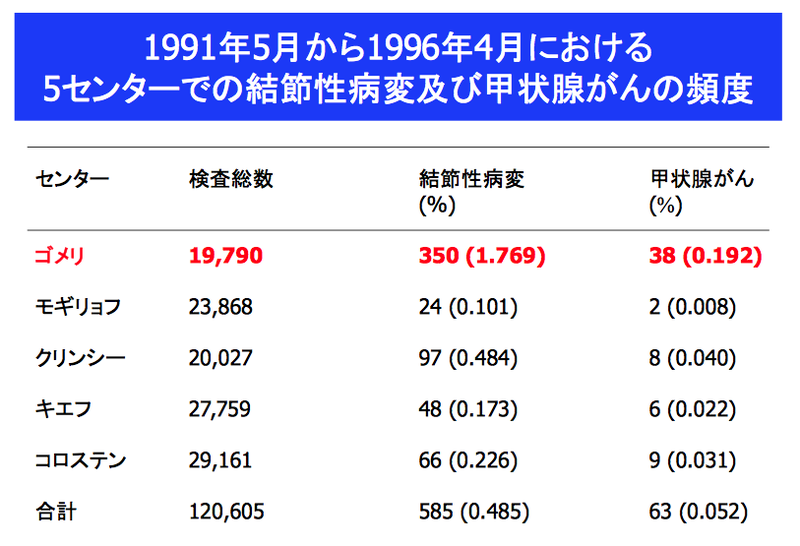 Some time ago, I made a phone call to Fukushima prefecture health examination section to place this most important data to more visible place (currently, unless one opens up 2 PDFs, we cannot see this table) and make the English translation, but they haven't done that yet, so here you can see them.